A number of people have been in touch and asked about getting a proxy vote, so I thought it would be useful to post information here on my website. 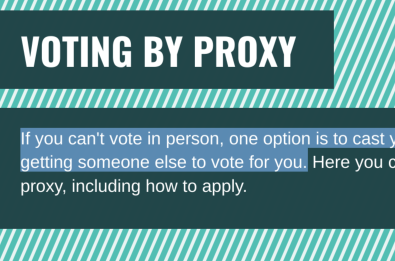 If you can't vote in person, one option is to cast your vote by proxy - this means getting someone else to vote for you. How do I get one and fine out more?